Thanks to the very dedicated CHS Alumni Association Historical Committee the CHS Archives are now available on-line. 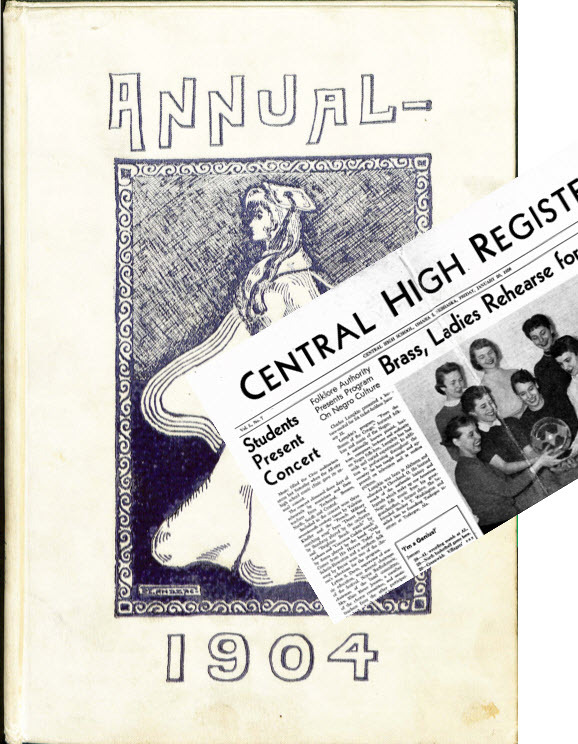 The archives currently contain a collection of Central High Registers spanning from 1874 to 2014, which can be easily browsed and viewed using the Free Adobe Reader. Helpful notes about how to use the Register scans are included. It is available in an easily searchable format so that alumni, staff, or researchers can access this priceless collection. The O Books are also available on-line and cover 1904 to 2015.